Barry Flanagan OBE (1941–2009) was a leading British artist of the late twentieth and early twenty-first centuries and is best known for his dynamic, bronze hares, first exhibited in the early 1980s. 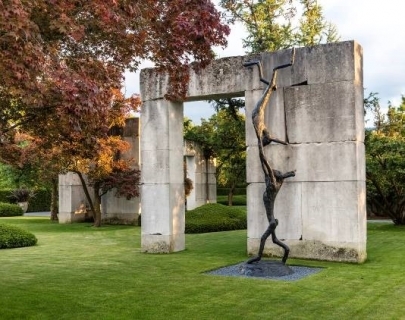 For one year only, Barry Flanagan’s 1997 sculpture, Acrobats, is on loan to The University of Warwick and will feature in a series of events and activities. A new sculpture trail has been developed relating to Acrobats, along which can be found small-scale sculptures and other artworks.